The Saab festival car show on Sunday started off with a lot better weather compared to Saturday. A bit windy but sunny! 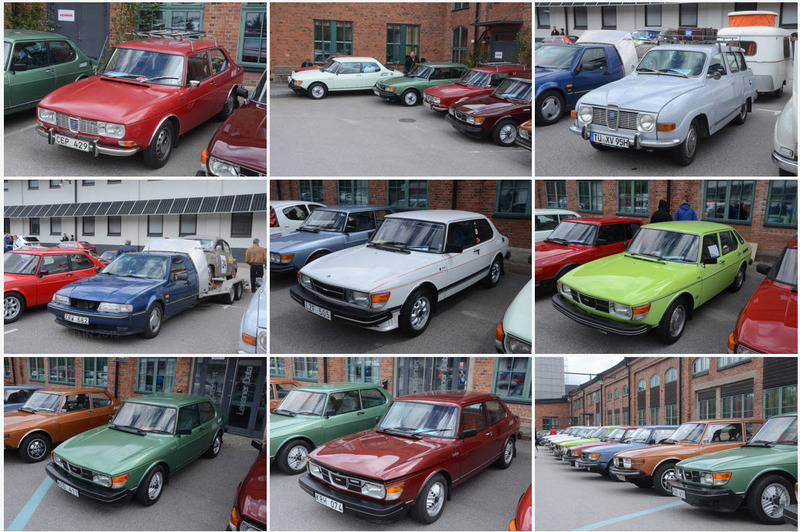 As usual, the areas with Saabs from all over Europe is huge, even bigger this year than previous years I would say. 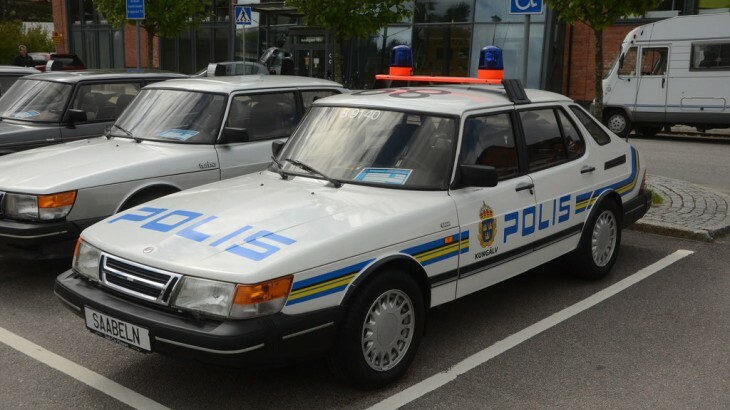 One of my favorites from the day is the “Saab 900 Swedish police car”. I don’t know if it’s a replica or an actual old police car, but it was fully loaded with police equipment. See pictures of the car below. 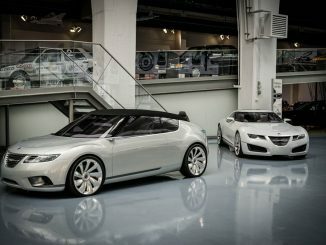 Nevs was showing their electric car, the car they were showing can take you around 200 km on one charge and it takes around 12 hours to charge it. It cannot be fast charged and charging during the night would be best I think. I would guess that they are developing a fast charging solution. 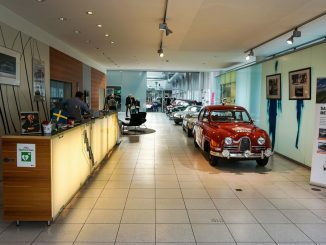 Some of the exhibitors on the area were Neo Bros, Maptun, Saab Turboklubben, Svenska Saabklubben and more. 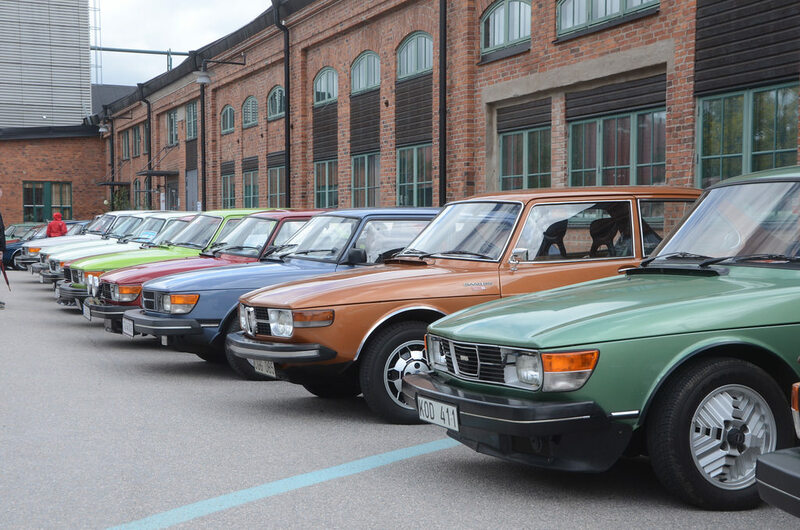 The traditional Saab swap meet was placed in the middle of the biggest exhibition area, and was full of tempting parts, details and Saab advertisement gadgets. The Saturday at the Saab festival started very rainy, after a few hours the rain ceased. The sun was trying to show, but didn’t really did as long as I was there. A few companies had a display on the side of the pit, Maptun was one of these. 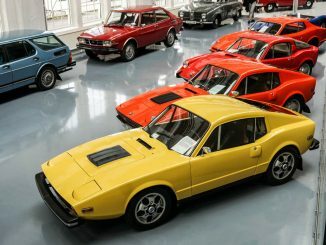 As usual the cars was released onto the track in model groups, by the speaker Saab car museum super attendant Peter Bäckström. 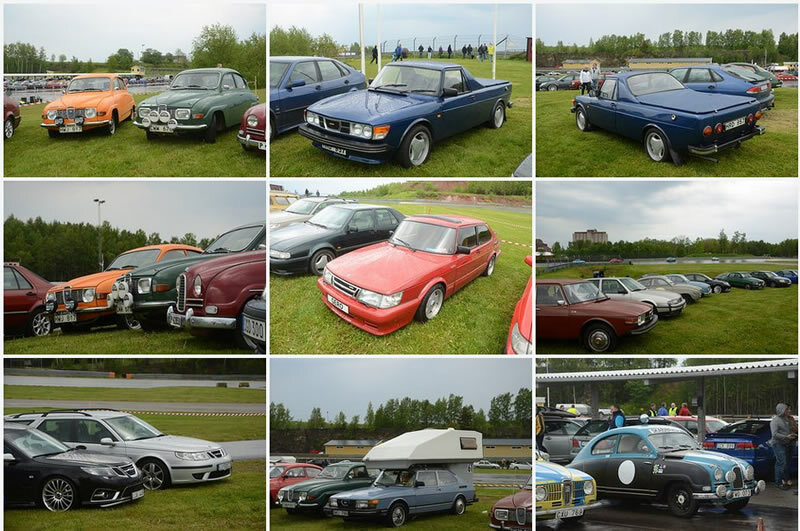 It ss always fun to see cars from all over Europe roll in to Kinnekulle ring and all have one common interest: Saab! Lets hope for some more sun in Trollhättan tomorrow! If you are one of these that will attend the car show tomorrow, see you there! 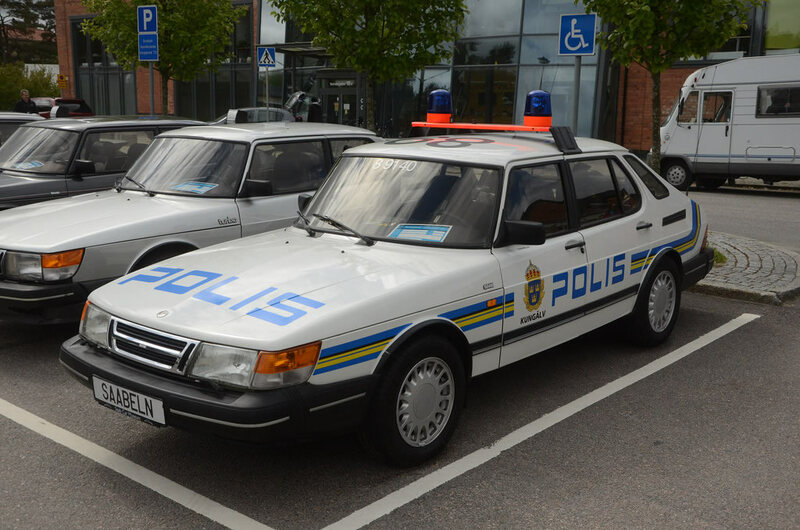 I still have to make it to the Saab festival some day. Hopefully, there will be another festival in 2017.